East Bay Koi is the Bay Area&apos;s Premier Source For Quality Nishikigoi (Koi) Fish & Pond Supplies! ​We offer ​20+ koi varieties bred, raised, & hand-selected by champion breeders from Niigate, Japan. Read more. ​We proudly carry Hikari, which provides complete, balanced, superior nutrition, bringing out a koi&apos;s true potential. Read more. ​East Bay Koi proudly designs, builds, & maintains koi ponds. Keeping your pond healthy & beautiful is our #1 priority. Read more. Sanke, a type of koi, literally translates to three color. 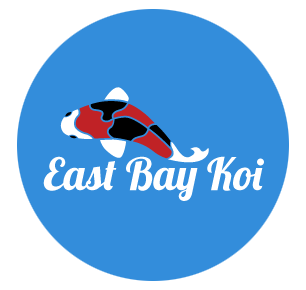 East Bay Koi is the Bay Area&apos;s newest premier source of quality nishikigoi (koi) fish and pond supply! We offer over 25 varieties of imported Japanese Koi including popular Kohaku, Sanke, and Showa selections. East Bay Koi&apos;s inventory includes koi of all ages - from Tosai (12 months old) to Jumbo Koi (10 years or older). Our attentive staff is available 7 days a week to answer all of your questions and make sure you find your perfect koi. Learn more. A large selection of koi and extremely knowledgeable staff to help with pond problems. Kohaku, the most famous variety of koi, translates to red and white.